A Recipe. Take as and when needed. I’m a bit of a podcast evangelist. I got into podcasts when I used to have to drive from Fallowfield to Prestwich daily. It could be 20–30 minutes depending on the time of day and I thought I could put the time to good use by listening to and learning from something. So I checked out podcasts. (Radiolab was my gateway drug, incoming medium post about what I’m listening to at the moment) Ever since then when I discover that someone has a decent commute into work I start banging on about podcasts. Truth is, besides for discovering great things podcasts transformed my drives as it chilled me right out. Commuting is not fun. It totally eats into your time, and if you are driving you can’t get much done, so you want the whole experience to be done with as soon as possible. Which is a great situation to induce road rage. Miss a green light because someone is driving at (get this) the speed limit? WHAT ARE YOU DOING? Someone merges into your lane? WHO DO YOU THINK YOU ARE? Bit of traffic, because, you know rush hour and all that. WHAT IS GOING ON? and the whole drive is spent on tenterhooks waiting to explode. Enter podcasts. Put on a good podcast, listen to something good, and before you know it, you are driving at the speed limit, you are welcoming fellow drivers into you lane and you wish the Conservative party conference could be every week. It’s not just traffic, many things can anger someone. And the effects of that anger can be long term or short term, but they have an affect. They affect you and others around you. Interestingly the Ethics of the Sages frames a persons disposition in terms of anger. There are four temperaments among dispositions: [a person who is] easy to anger and easy to appease — his gain is canceled by his loss. [A person who is] hard to anger but [also] hard to appease — his loss is canceled by his gain. [A person who is] hard to anger, but easy to appease — [that’s a] pious person. [A person who is] easy to anger and hard to appease — [that’s a] wicked person. They analysed things through how easy a person is angered and how long it takes to be appeased. But where does that leave us? What can one do about it? I’d like to be a pious person, I certainly don’t want to be a wicked person. But I am the way I am? I am currently reading, well re-reading “The Courage to be Disliked” a socratic dialogue between a philosopher and youth exploring the ideas of 19th Century Psychologist Alfred Adler, where the youth takes affront at the idea a person can change, quite early on they discuss anger where the philosopher challenges the idea that anger is unavoidable, and he says people fabricate the emotion of anger and demonstrates it with an example we can all relate to. Two people are fighting, the phone rings, it is answered and a pleasant conversation is had, the phone is hung up. The fight resumes. When in a heated argument, it can be paused, tempers can cool down on a dime when needed, matters dealt with before hostilities are resumed. This philosopher teaches anger can be used for a goal. Whatever it might be. Rabbi Gavriel Friedman teaches about anger and tells the story of a teacher who once used the emotion of anger for the goal of disciplining some pupils. But once that was done carried on as if it has never happened. And then just be in a good mood? How in control are we of our emotions? Truly? Are we like the one who is quick to anger but is easily placated? What gain is there? Or it might take a lot to anger us but when we get angry we get angry. Doesn’t help. What was remaining in a mood going to do for me. I was tired, so I cut myself a little slack but it was a learning experience. Furthermore one needs to realise that getting anger over something they can’t control isn’t really useful. Anger stems from feeling wronged, you thought things are meant to be one way but they went another, and a lot of the time there’s not much you could have done about it anyway! And then when it comes to things one can control reason is often the better tool than anger. It’s not easy, it’s primal. 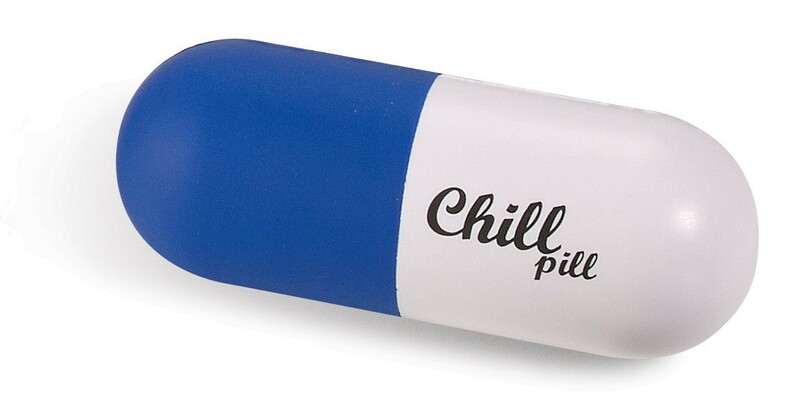 Yes it can work, this is the recipe for a chill pill but it takes time and repeated doses. It’s so central to our personalities that the sages framed it in terms of anger. Interestingly we see the sages use the term “Pious” for one who takes a long time to anger but is appeased quickly. It still seems to be that no matter how hard you work on it one will still always be susceptible to anger, and it can even be to catastrophic effect. Moses had led the Israelites for 40 years in the wilderness and was about to bring them into the Promised Land until it all came undone. The nation required water and God told Moses to speak to a certain rock and he ended up hitting it, as many commentatory say out of anger. His whole life’s work, of shepherding his people through the 40 year sojourn was to end early because of this flaring of tempers.